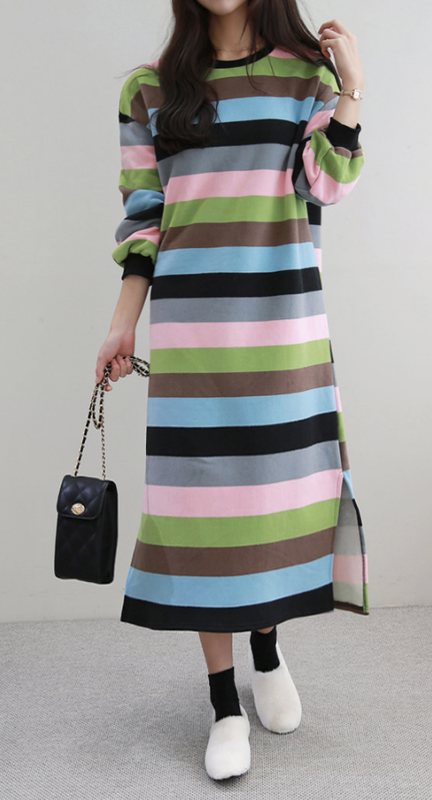 Keep your style on point amidst the chilly season by wearing this Color-Blocked Striped Dress. 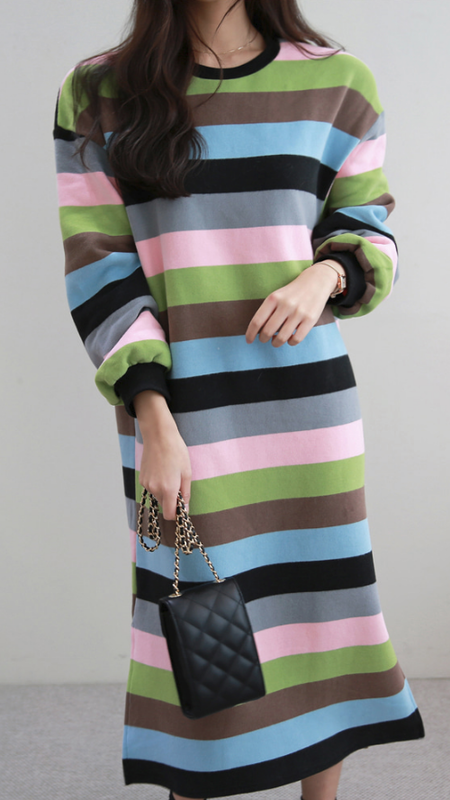 Crafted with a turtleneck, long sleeves with ribbed cuffs, an eye-catching multicolor horizontal stripe pattern, side slits, a loose fit, and a mid-thigh length. Wear this piece with a pair of sock sneakers for a cozy and comfy winter look.